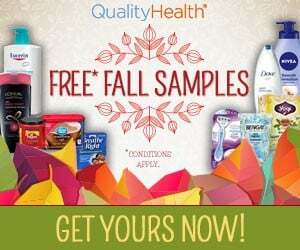 If you enjoy receiving a variety of FREE samples, sign up for FREE fall samples from Quality Health! You can get your Quality Health samples by completing a survey and entering your email address. Based on your answers, you will receive freebies pertinent to you, your lifestyle, and your interests.